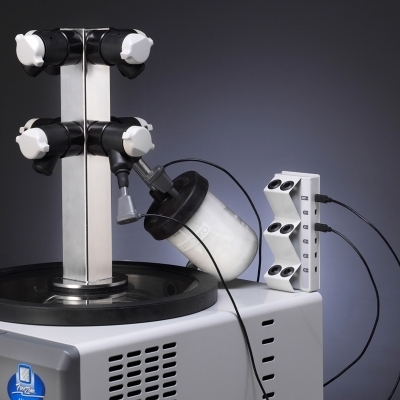 FreeZone 2.5 Liter Benchtop Freeze Dryers are designed for lyophilizing light sample loads. 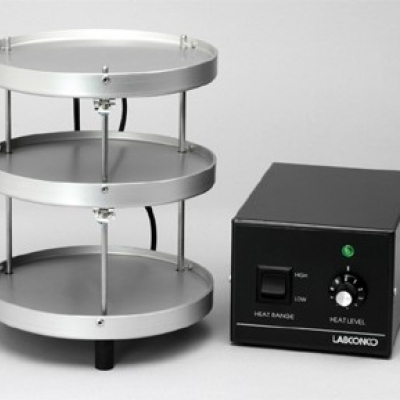 The compact design is ideal for labs with limited floor space. The upright stainless steel collector coil holds 2.5 liters of ice before defrosting. 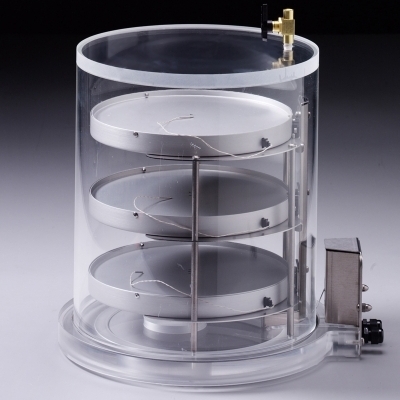 A single 1/3 hp HCFC/CFC-free refrigeration system cools the collector to -50° C (-58° F), suitable for aqueous samples. Lyo-Works™ OS provides a real time display of collector temperature, vacuum level and optional End-Zone™ end point detection system, shown on a 5" full color, capacitive touch screen. 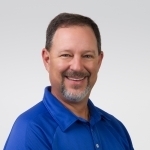 Models with PTFE-coated collectors that can withstand corrosive compounds are available. 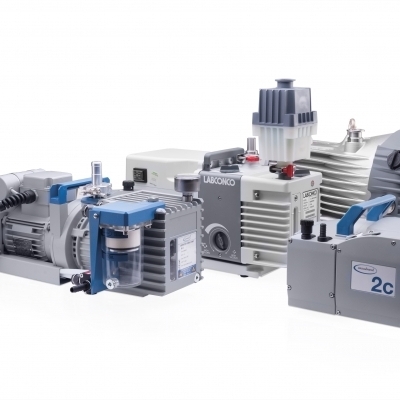 Vacuum pump, drying accessory and freeze dry glassware (if not bulk freeze drying) are required (not included). 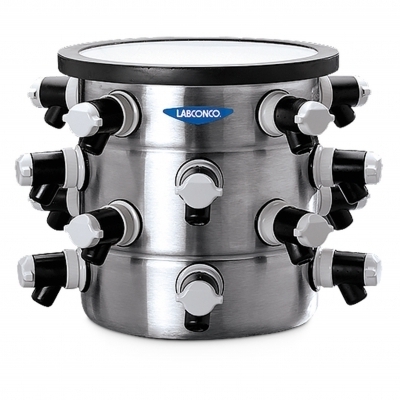 Upright stainless steel collector coil capable of holding 2.5L of ice before defrosting. Acrylic collector lid, 3/4" thick, has neoprene gasket and 3" diameter port for connection of drying accessories (sold separately). Compact benchtop design with a small footprint. Brushed stainless steel and glacier white, powder-coated steel exterior with blue accents. Real time display of collector temperature, vacuum level, and optional End-Zone™ end point detection system. Start–up mode for collector cool-down and vacuum pull-down (automatic or manual). Operating mode (standby or run). Vacuum set point, alerts, diagnostic tests, user manual, defrost control, and optional drying accessory parameters. Data logging stores and displays data in table or chart format, and may be exported via USB or Ethernet. Settings include language (English, Spanish, French, German, or Italian), time, time zone, temperature (° C or ° F), and vacuum (mBar, Torr, or Pa). Alerts are programmable to send via Ethernet connection to user-entered email addresses. Display settings include brightness, touch sounds (on/off), and screen time out in minutes (on/off). Maintenance alert settings include vacuum pump oil change, refrigeration cleaning, total operating hours and line voltage offset. 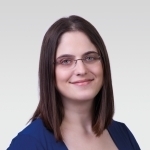 Level-specific security lock-out prevents changes to programs and other system parameters. Hot gas defrost with auto shut off at +65° C (+149° F). Moisture sensor that prevents refrigeration or vacuum start-up when moisture is detected in the drain line. Vacuum control valve that maintains vacuum level set point. Vacuum break valve that bleeds air into the system when power to the freeze dryer or vacuum pump is shut off. If a power outage less than approximately 5 minutes occurs, the freeze dryer will restart and the refrigeration and vacuum system will resume operation once power is restored. If the power failure is more than approximately 5 minutes and the collector warms above safe limits, the freeze dryer will not automatically restart. Side-mounted USB port and rear-mounted Ethernet connection. Side-mounted, quick-disconnect drain hose fitting and lanyard with hose connector. 18", 1/4" ID silicone tubing and clamp included. Rear-mounted electrical receptacle for vacuum pump connection. 3-wire electrical cord with plug. 3/4" OD vacuum connection, 50" of 3/4" ID vacuum hose and two clamps. PTFE-coated collector coil and chamber for processing involving corrosive compounds. Vacuum pump with a displacement of at least 98 L/min, 0.002 mBar ultimate pressure and fitting suitable for 3/4" ID vacuum hose. Small Tray Dryer or other drying accessory. 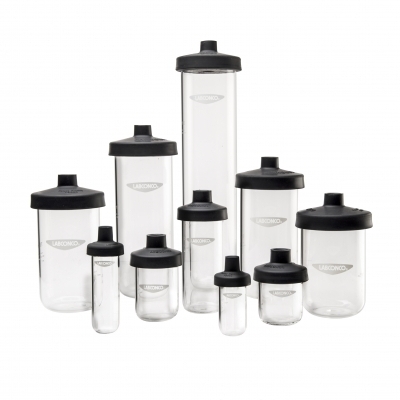 Freeze dry glassware if not bulk freeze drying. Know as soon as your samples reach dryness. Set up your End-Zone™ End Point Detection System to alert you when the primary drying phase is complete for up to 5 samples in 600ml or larger flasks. This video shows how to install and operate the system. 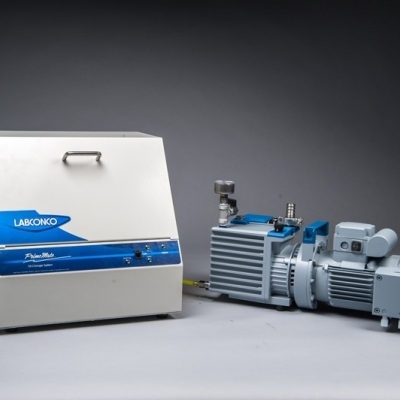 The Lyo-Works Operating System makes freeze drying easy. The large, full color touchscreen display offers clear, intuitive interactions. 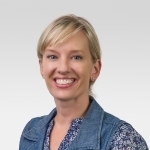 Learn to use these features that help you get the lyophilization results you want every time. 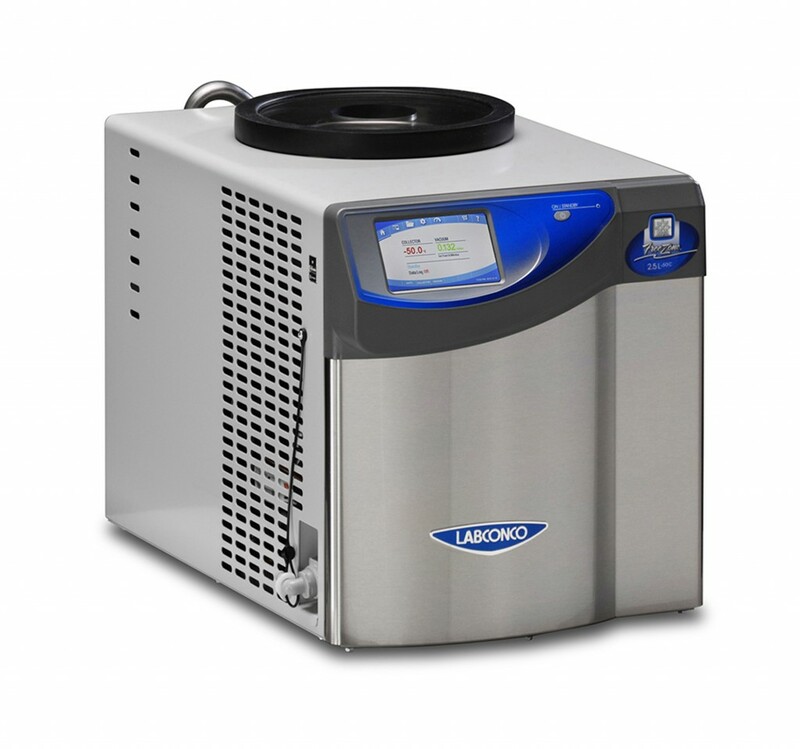 Follow these instructions to set up your new Benchtop FreeZone Freeze Dryer. 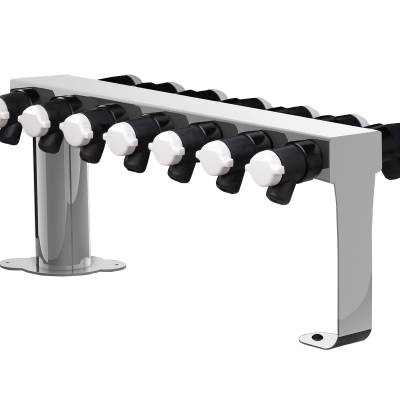 The video includes instructions for installing a 4 or 8-port manifold or a 12 or 16-port chamber. Check for other videos and instruction manuals when installing other accessories. Here are some simple tips to get the best results when freeze drying. These tips can also help you avoid breaking glassware, and help you select the best method of freeze dry preparation. For catalog numbers in the following series: 70020xxxx, 71020xxxx, 70040xxxx, 71040xxxx, 72040xxxx, and 70080xxxx. These are 2.5L -50° C and -84° C, 4.5L -50° C, -84° C and -105° C, and 8L -50° C FreeZone Benchtop Freeze Dryers with Lyo-Works™ OS manufactured in August 2017 or later. The installation guide for FreeZone Freeze Dryers manufactured August 2017 or later. The installation guide in French for FreeZone Freeze Dryers manufactured August 2017 or later. Le guide d'installation pour les FreeZone Freeze Dryers manufacturés en août 2017 ou ultérieurement. The installation guide in German for FreeZone Freeze Dryers manufactured August 2017 or later. The installation guide in Italian for FreeZone Freeze Dryers manufactured August 2017 or later. Guida rapida all'installazione dei liofilizzatori FreeZone, data di produzione da Agosto 2017. The installation guide in Spanish for FreeZone Freeze Dryers manufactured August 2017 or later. Guía de Instalación para FreeZone Freeze Dryers fabricadas en Agosto del 2017 en adelante. Declaration of Conformity for applicable models of FreeZone Freeze Dryers manufactured August 2017 to present. This is the Lyo-Works application software for your FreeZone Freeze Dryer's touchscreen Android interface. The .zip file includes installation instructions. Update your Lyo-Works OS Software before installing this firmware. This is the firmware for FreeZone Freeze Dryers with Lyo-Works. This .zip file contains the firmware and installation instructions for FreeZone Freeze Dryers manufactured in 2017 and later. For validation of predetermined FreeZone Freeze Dryers specifications. Provides a checklist of installation and operation qualifications to complete when beginning operation on new or used FreeZone Freeze Dryers manufactured in August 2017 or later. 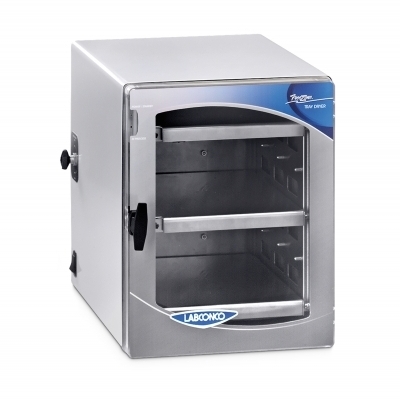 These systems have Lyo-Works™ OS, blue control panel labels and stainless steel fronts. 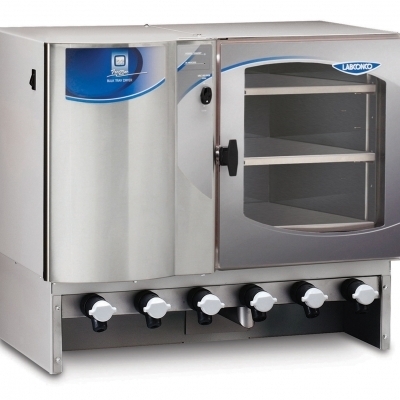 A variety of FreeZone Freeze Dryer accessories are available including Shell Freezers, Tray Dryers, Drying Chambers and Product Shelves. 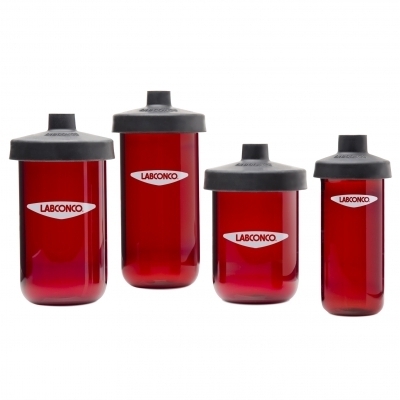 Drying Chambers provide a means to attach flasks to your freeze dry system or contain samples in bulk. 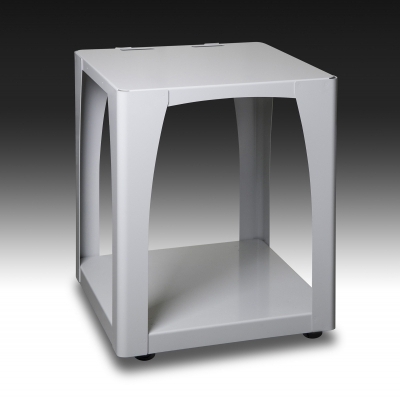 Powder-coated steel cart supports FreeZone benchtop and Triad Freeze Dryers during use, storage, or transportation. Lower shelf provides space for vacuum pump. Casters provide mobility. Maximum weight capacity of 450 lbs. 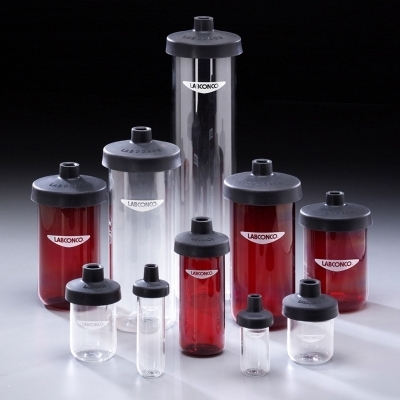 Freeze dry glassware offered includes flasks, ampules, serum bottles and vials. Perform fast, mess-free oil changes on vacuum pumps. Portable, automatic. A simple way to design a complete lab freeze dry system that fits your needs.